Applicable federal rates (�AFRs�) are interest rates published monthly by the Internal Revenue Service. These rates are used for various purposes under the Internal Revenue Code including determining the minimum interest rates that can be charged for certain loans to avoid the IRS �imputing� interest on low or no interest loans. These rates are published for Short Term loans (3 years or less), Mid Term loans (3-9 years) and Long Term loans (more than 9 years). In practice, these rates are often referenced to determine appropriate interest rates for private business loans, shareholder/partner or intercompany loans and loans between family members. 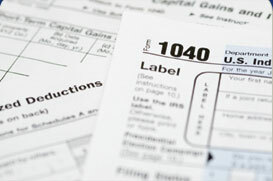 An index of these rates is available on the IRS website at http://www.irs.gov/app/picklist/list/federalRates.html.